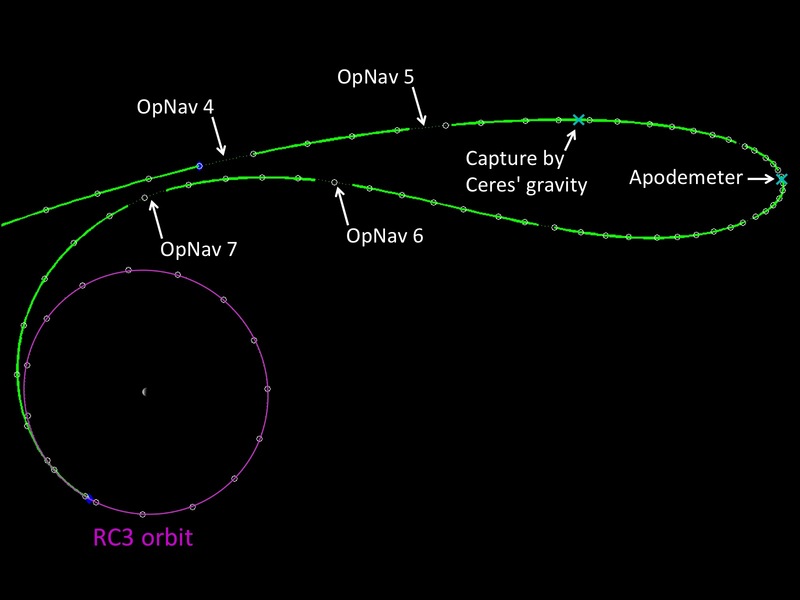 There is another rocket science blog out there on the leading edge of cyberspace…and it’s transmitting the progress of the Dawn spacecraft which recently entered into orbit around Ceres! Marc Rayman, the Dawn chief engineer and mission director at JPL, is the author of the blog. 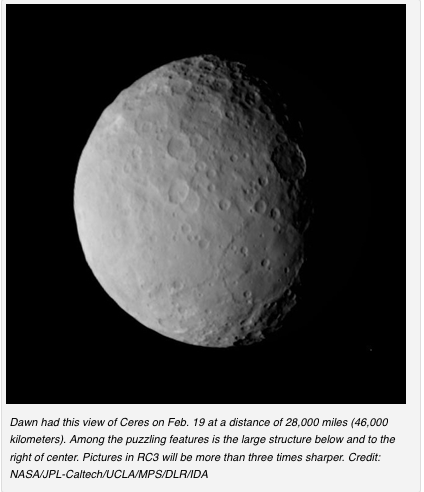 If you didn’t know, Ceres is a dwarf planet located in the asteroid belt between Mars and Jupiter. It is the largest object in the asteroid belt. Its diameter is 27% that of our moon (according to wikipedia here). You don’t have to wait until you go to college or you work at NASA to learn a lot of awesome things about space travel, orbital mechanics, spacecraft design, and astronomy. Just read and subscribe to the Dawn blog! If you want to hear more from Marc Rayman, check out the January 26th, 2015 episode of The Space Show with Dr. David Livingston. Marc was the special guest for the entire program, and he gave an expert’s insight into the mission (but still in ways for almost anyone to understand, assuming you can listen in English). Thanks to our modern internet technologies such as blogs and podcasts, anyone can follow Tip #3 (Associate with people in the field) and Tip #7 (Use free and informal education resources). Read more about those in the book How To Be a Rocket Scientist and learn 8 other powerful tips to help you launch (or boost!) your own career in aerospace. By the way, do you remember what you were doing on September 27, 2007? (Or anything about your life from that month?!) That’s the date that the Dawn spacecraft was launched from Earth! This is either a blessing or a curse with working in rocket science (or both)–your projects can have R E A L L Y L O N G time frames…if you have determination, vision, and patience you can be sure there will be exciting projects for many decades (even centuries) ahead. Hello! More than not minding, I appreciate and encourage it! Thanks for asking though. The social media buttons on the pages are there so it is extra fast and easy for you. Thanks very much for sharing!